Varicose veins are the result of the faulty valves preventing the backwards flow of blood in the legs. That causes the blood to pool, and the veins to protrude. Fortunately, vein surgery is possible to improve matters. 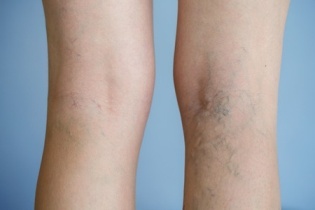 Many years ago the only treatment available for varicose veins was vein stripping. Vein surgery took place in hospital under full anaesthetic and was rather a traumatic procedure for both surgeon and patient. Varicose veins and venous insufficiency are medical disorders. More medical aids are paying for the new vein surgery procedures. Doctors conduct vein surgery in the consulting room using a local anaesthetic. Depending on the scheme and option, some medical schemes pay entirely for varicose veins treatment. However, others only cover it in part, meaning that the patient will be responsible for the significant co-payment. One or two of the larger medical aids fund the procedure from your in-hospital or major risk-benefit, and not from your savings plan at all. The doctor injects a solution into the veins causing them to seal closed. The blood then re-routes to healthy veins. That is the treatment for small spider veins on the legs and face. That is is purely a cosmetic procedure and as such none of the medical aids will cover the procedure. This treatment is billed per session, and you need 3-5 sessions. R1 800 – R2 000 per session, which lasts about 20 minutes. The doctor inserts a laser fibre into the vein to ablate and collapse it. Then he seals the vein and the blood goes through other healthy veins. The procedure takes 20-40 minutes. The first consultation is roughly R660 – R800. Peripheral Venous Ultrasound – R2 000 – R3 500. This is the removal of unwanted veins using radio-wave energy or heat. On average, you can expect to pay about R19 000 for one leg or R26 000 for both legs. More and more of the medical schemes are realising the benefits of the new technology on varicose veins and are approving most, if not all of the treatments. In fact, because doctors do these procedures under local anaesthetic, and each session lasts up to 45 minutes, it saves them quite a bit more in comparison to vein stripping.